A move in ready home with spectacular year round long range views in Brevard, North Carolina. Just minutes to downtown Brevard, state parks, trout waters, and all the best of the Land of Waterfalls. This lovely home has a 3rd bedroom or office on 2 bedroom septic. 30+ mile views from all main living spaces, as well as the 56 ft. of covered and open decking which overlooks a rock waterfall-Koi pond. You will love the open floor plan, cathedral ceilings, cozy den with a wood fireplace. Lots of storage with a detached garage and outbuilding. Wonderful home in Brevard, North Carolina in move in condition! Located on a low density dead end road. 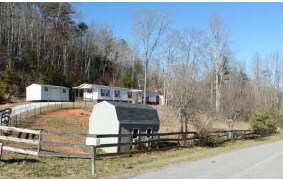 Pasture area with 12×8 storage building which was used for stalls for miniature horses, plus a 20×12 Boondocks storage building and a additional shed. I can’t say enough wonderful things about this home and unrestricted property. Top of the line home custom and improvements designed by the original owner. Enjoy the spacious covered 10+x8 front deck and large rear deck. 5.3 miles to downtown Brevard. This is an investment opportunity you will not want to miss! If you are preparing your Brevard home to be put on the market for sale, you will be considering how to make improvements that will appeal to buyers. Bathrooms are one area where home buyers make decisions because it is one of the most used rooms in the house. Major bathroom renovations can consume large amounts of time and money, but every bathroom can use a little fix-up from time to time, even if you’re not selling your home. Even small changes can have a big impact so if you need to give your tired old bathroom a quick, budget friendly lift consider these renovations. 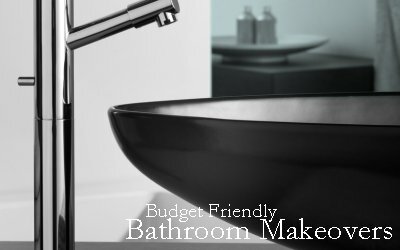 •Change out the hardware in your bathroom. Consider new knobs for the cabinets, perhaps a new towel rod, and toilet paper holder. These small touches can add a new tone and feel to any bathroom, making sure they match well and coordinate with one another will make the room come together beautifully. •Invest in new bath faucets, it’s a great way to extenuate your style. Also, consider going green and investing in a faucet that helps lower your water usage while still giving the same flow pressure. •Updating your lighting can really brighten the room! Consider purchasing scones to replace dated strip lighting and you can coordinate the finish with your new hardware. Be sure to use a combination of task, ambient, and accent lighting. •Paint the walls, it’s the easiest way to transform a room. Have fun and experiment a little – The color on the walls can really pull together the feel of the room and create the vibe you are looking for. •Replace your vanity top, or go wild and replace the whole thing! Full vanities can be purchased at a reasonable price and with all the new options for vanity top materials you can create a traditional, modern, or whimsical feel simply by changing the top.